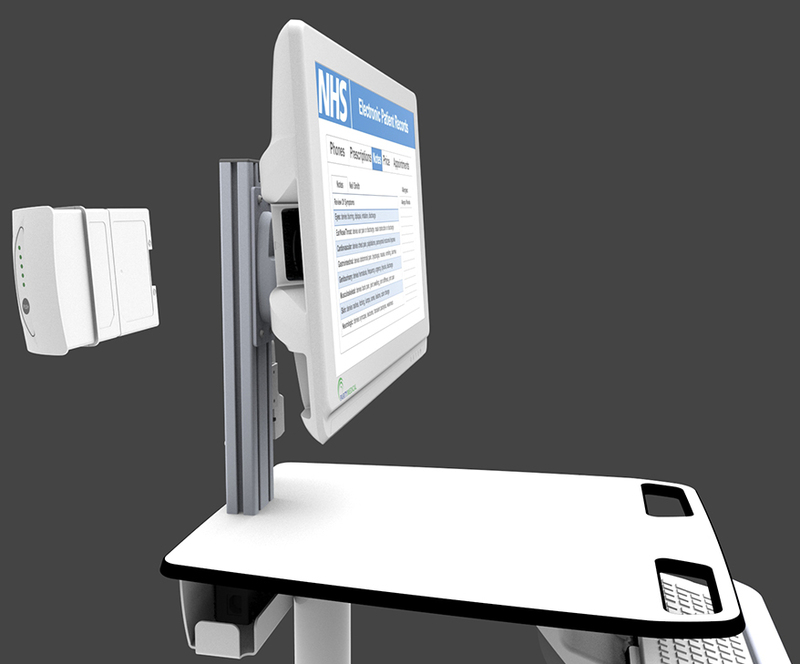 Our new comfort keyboard tray extends, raises & tilts independently of the workstation, allowing users to find their ideal seated or standing position & maintain a healthy posture. The VersaLite Range has dual hot swappable batteries for wireless 24/7 workflow. Now with 50% more battery life & a new remote management system. 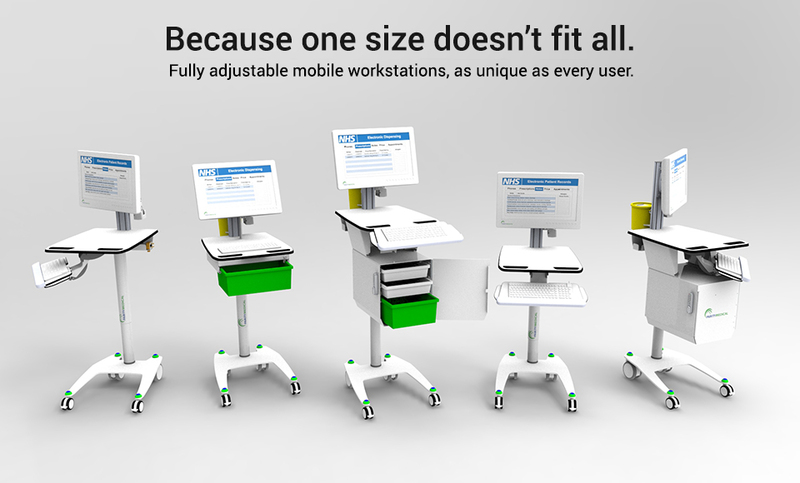 As your projects evolve, so does your workstation. 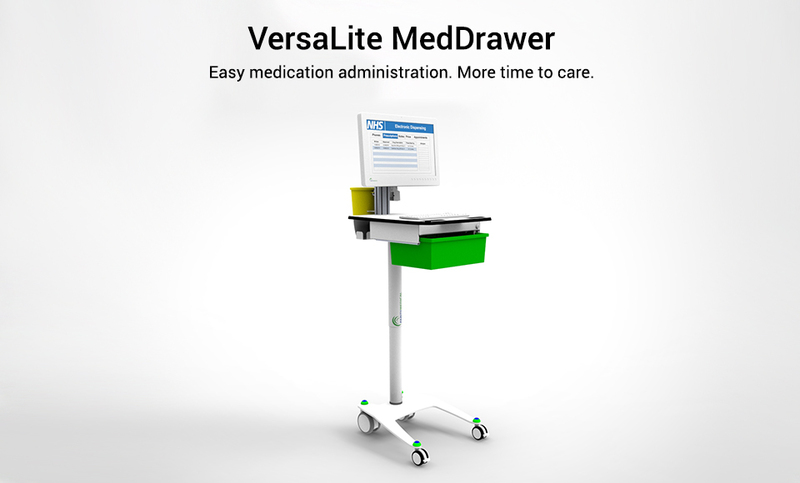 The VersaLite’s modular design means your solution can be adapted to meet your needs. 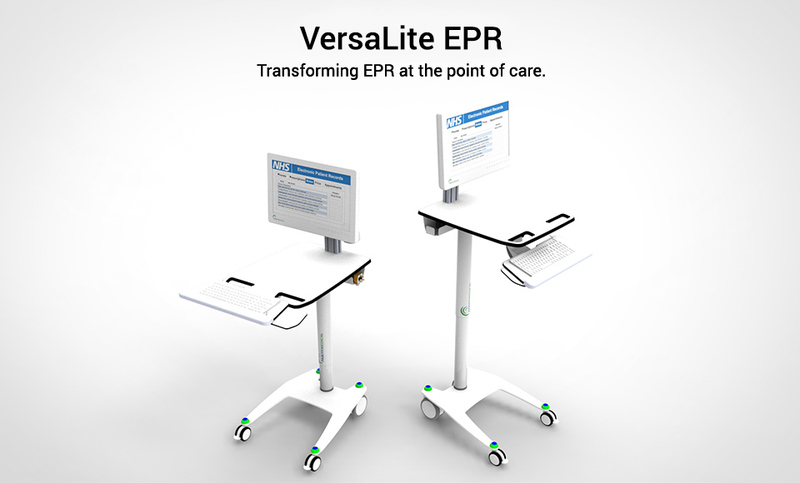 For example, if your Hospital evolves from EPR to ePMA, the VersaLite can too. Every aspect of the new workstation has been designed for easy cleaning. 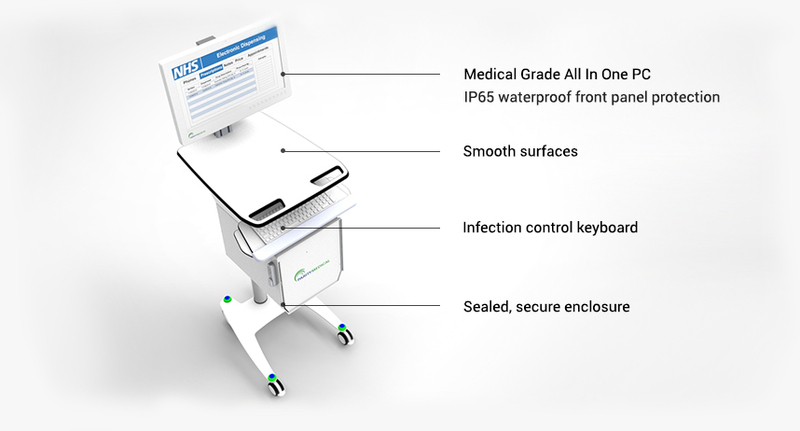 From the IP65 waterproof All In One PC front panel to the smooth profile of the work surface there is nowhere for germs to hide. Less time spent cleaning means more time to care. We’re on hand to quickly give you pricing, technical specifications or more information . Please get in touch by filling out the contact form or pop on to our instant live chat service.